We have some great news to share with you this month, from a NEW DEMO REEL, to wha we are PASSIONATE about, the announcement of our AMVAS and a cool new project did with some old friends from film school. It is that time of year again to celebrate!!! Come enjoy some food, drinks, networking and great entertainment. We always make sure everyone has a good time at the AMVA’S! Don’t forget to vote for your favorite COMMERCIAL, NON PROFIT, and WEB VIDEO!!! 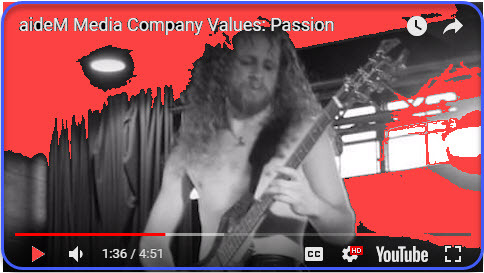 Check out the video about our company values – this month we are covering our #PASSION. Find out what drives the team at aideM Media to make great videos! Peep the steezo on the latest cut of our hottest work from 2018. You might want to watch this one more than once!!! IT IS FIRE 🙂 Super proud of the aideM Crew on all we have made last year!!! This year with the Philadelphia Eagles representing Pennsylvania at the Super Bowl, we were prouder than ever to be a part of local Super Bowl ad for Rutter’s. Not only do we support the great food, fuel and drink (best chocolate milk EVER) that Rutter’s has to offer, they are one of our most enjoyable clients to work with every year for the Super Bowl, and we are so happy they bring us back each year. Rutter’s has an amazing staff of fun, hardworking people who are always opened to our creative and edgy ideas from beginning to end. Rutter’s Farm stores officially changed and simplified their name to “Rutter’s” upon the launch of their 50 year celebration campaign. We were proud to serve as their video crew to help them tell their story, by reusing some “best of” footage from previous commercials. We shot a few new clips featuring some new menu items like their asian WOK, beer and wine. We also had the pleasure of working with Morgan Rutter, who is currently pursuing and acting degree in California and came back to good ol’ York PA to help act in the family business’ commercial. She appears in the last two shots of the ad! This year whether you were supporting Pennsylvania by cheering for the Eagles, or just watching the game for the creative ads, we hope you caught ours during the third quarter, but if not, here it is! This was actually the fourth year we had the pleasure of making a Super Bowl commercial for Rutter’s. Here is a look back to the past few years of productions we helped create with their team…. Which one do you like best? We will start off with the first one we ever made for them a few years ago…..
We were under the gun on this one with less than a week to come up with a concept, write a script, plan logistics, hire talent, shoot and edit the video. We pulled it off, and it started a great chain reaction of creating more super bowl spots in the future for Rutter’s. Below is a behind the scenes shot of the second attempt at making an awesome big game ad – check it out – it was a lot of fun ! Behind the scenes on a video shoot with Rutter's Farm Stores !!! This was a funny spot that included football themes for the SB and also showcased some of their newest food items, sprinkled with comedy and adrenaline. Last year we wanted to talk a bit about the history of the brand……This one was a great story on how the c-store has evolved through the generations. 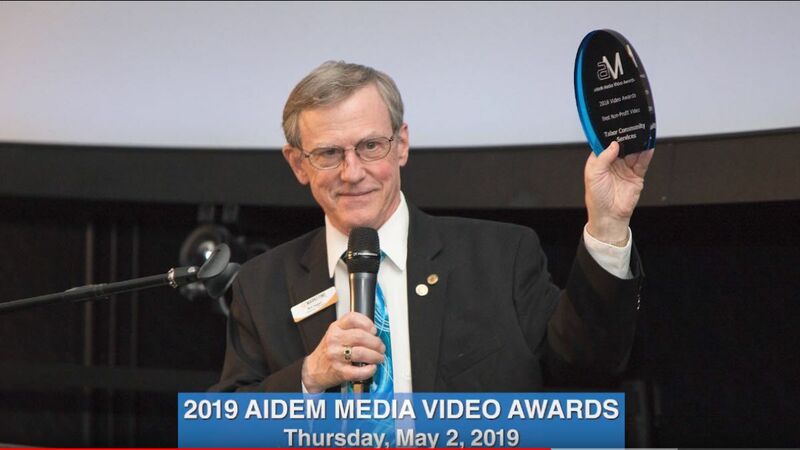 If your business needs help with video advertisements, whether it be super bowl or any other time of the year, consider aideM Media Solutions! Whether you are a CEO, manager, or a crew leader, you must constantly strive to push your company and your employees toward success in new and inventive ways. Live2lead is here to help! This leadership development simulcast is one that should not be missed. The Live2lead simulcast strives to help those in positions of leadership by equipping you with fresh perspectives, tools, and key takeaways that will breathe new life into your leadership style. This is a half-day event, featuring world-class experts such as John Maxwell (a NY Times bestselling author), Cheryl Bachelder ( Popeye’s CEO), Dave Ramsey (money & business expert), and Warrick Dunn (Tampa Bay Buccaneers) who offer advice and strategies for becoming the best leader you can be. Where and When is Live2lead? Live2lead will be simulcast locally in Lancaster, Pa at The American Music Theater on Friday October 6, 2017. The simulcast begins at 8:40 A.M.
Bring your entire management team to this event! Nowhere else will you find such expert advice from world-renowned professionals. Don’t miss out on this opportunity to take your leadership style to the next level. It has been said that a picture is worth a thousand words. However, video has the potential to reach thousands of people, people who can enhance your business with their skills and talents. A video can highlight your company in a far more compelling way than a simple photo, or even a series of photos, can. Here are the top three reasons your company should be using video to recruit new talent. Using video to recruit prospective employees is more important than you know. According to a recent article by Forbes Magazine, company culture is becoming more important than ever to prospective employees. This is especially true for Millennial entering the workforce. Therefore, you can be sure that any prospective employee is going to research your company’s values. By utilizing video, you can present your company culture and its values with employee testimonials. Your video can highlight your company’s philosophy, brand, identity, and image. Research has shown that companies who present a strong company culture not only attract the best talent, but also retain those employees far longer than companies who do not clearly define their culture. All of the above will help connect your company to job seekers quickly, and develop candidates who are an ideal fit with your company and its culture. The job market is crowded, and just as potential employees must find a way to differentiate themselves from hundreds of other candidates, so too must your company find a way to stand out to job seekers. By listing your job opportunities in video format, your company’s job listings immediately stand apart from the hundreds of text only listings. Additionally, your video can convey more information regarding your job opportunity in a shorter amount of time. This allows job seekers to determine quickly whether they are a good fit for the position. Time lapse video can be an invaluable tool for your construction business. Time lapse video allows you to showcase your company’s construction skills on a multitude of projects, from start to finish, in just a matter of a few minutes. In fact, projects that have taken weeks, or even months, can be condensed into an easily viewed time lapse video. Terre Hill Combined Timelapse from Derek Lau on Vimeo. Perhaps one of the best features of time lapse video is its brevity. In a day and age where time is short and attention spans are even shorter, your company must find a way to communicate with potential clients quickly and efficiently. Time lapse video allows your company to do just that, without sacrificing your brand or messaging. In fact, narration can be included alongside the video, to further illustrate the professionalism of your company and drive your messaging home. From stationary cameras to drone footage, Aidem Media has the tools, skills, and knowledge to create amazing time lapse videos for your construction company. Football season is here and with it comes one of the most opportune times to advertise your business on TV. Thousands of potential customers are tuning in to their local networks to watch games on Monday, Thursday, and Friday nights, as well as on the weekends. From high school to college, and the NFL, televised football games draw in a wide range of viewers, across all demographics. These are viewers who can benefit from the goods and services your company provides. And, according to recent studies, these viewers want to shop locally. They just need to be made aware of the excellent goods and services your company can provide. To tap into this customer rich marketplace, and land those new customers, your company will need an attention grabbing ad campaign. At AideM Media, we can help you to create a dynamic video story, one that your new customers will remember. We can help you spotlight new goods and services, as well as special promotions, services, customer loyalty programs, and discounts that will give your business a boost. The power of a great commercial should never be overlooked. 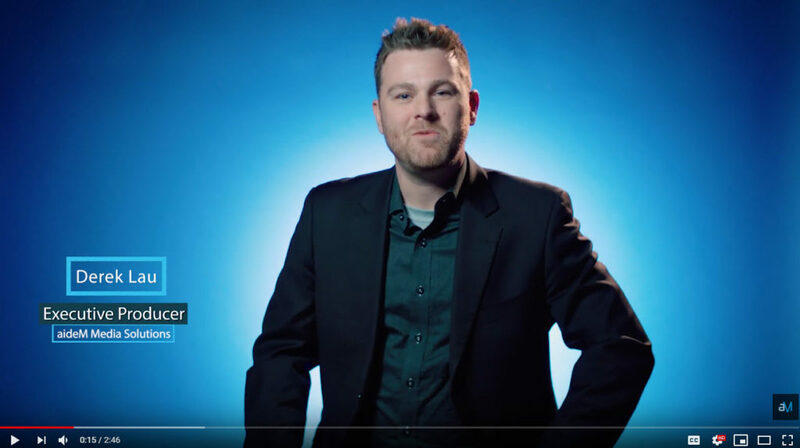 These 4 TV spots are running right now, and you can easily see how compelling video can grab your customers’ attention. Take advantage of the thousands of additional viewers tuning in to football games this year, and partner with us for a winning season! Facebook has released a fun new video feature – banner videos. Banner videos are a creative way to make an engaging cover video for your page, which will replace your cover photo. The video will be visible to anyone who views your page. Your banner video can be anywhere from 20 seconds to 90 seconds, depending upon how much information you want to convey or content and products you wish to spotlight. More than just a cool new feature, the banner video cover allows you to showcase your products or services in motion, thereby grabbing a potential customer’s attention right way. Like a cover photo, banner videos can be changed to the products and services you wish to highlight at any given time. Take a look at how using Facebook’s new banner video feature on your Facebook page can benefit your business. We live in an era where information is literally at our fingertips. Because of this, customers want information quickly, and don’t want to spend a lot of their time to get it. This is why video is a perfect solution. A great banner video will grab and hold your customer’s attention, while simultaneously explaining your products and services. When you stop to consider that customers spend an average of 2.6x more time on pages with video than without, you begin to see just how powerful a tool video can be. Why is video so important and how does it increase your revenue? Recent statistics show that customers are 64-85% more likely to buy a service or product after watching a promotional video. People prefer watching a video to reading, and a video allows them to see the product in action. It is also important to note that businesses that employ videos have customers who stay on their sites longer and those same customers visit twice as many pages, resulting in more sales with higher profit margins. Because your Facebook Banner Video is the first thing that customers will see when they visit your page, it is essential that your video be engaging, entertaining, and informative. If your video doesn’t capture the attention of the person viewing it, he or she is unlikely to explore the rest of your page. At aideM Media, we can help you carefully construct the perfect video for your business. Telling a better story through video is our passion, and there is no better story to tell than yours.